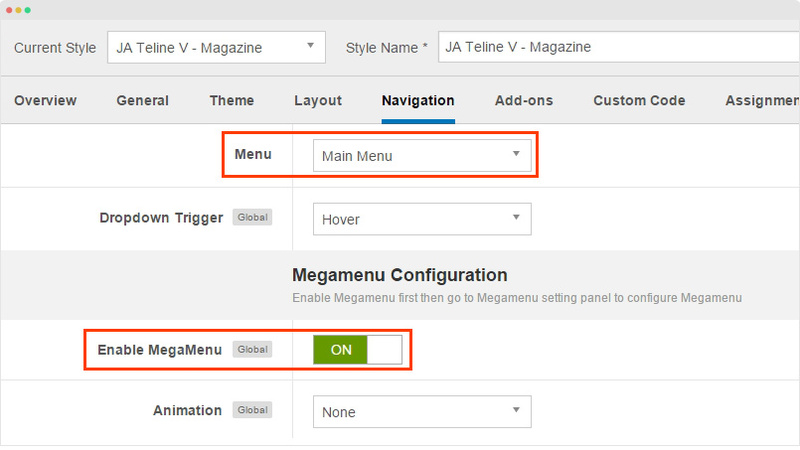 The Magazine template style has some different configuration, we suggest to create new template style instead of using the "JA Teline V - Default" template style. 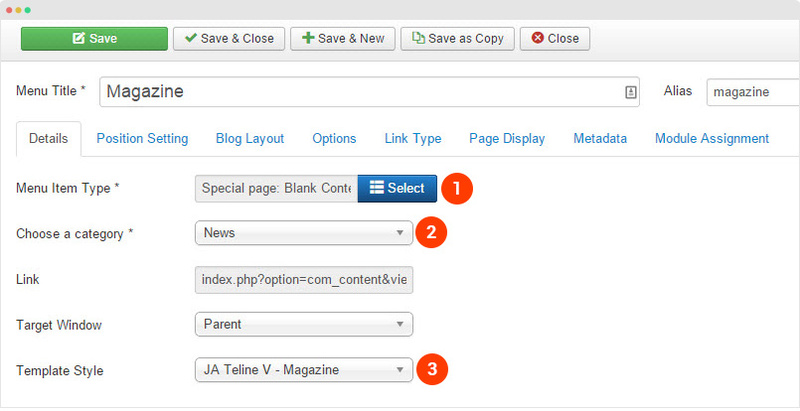 Step 1 - Create "JA Teline V - Magazine" template style. 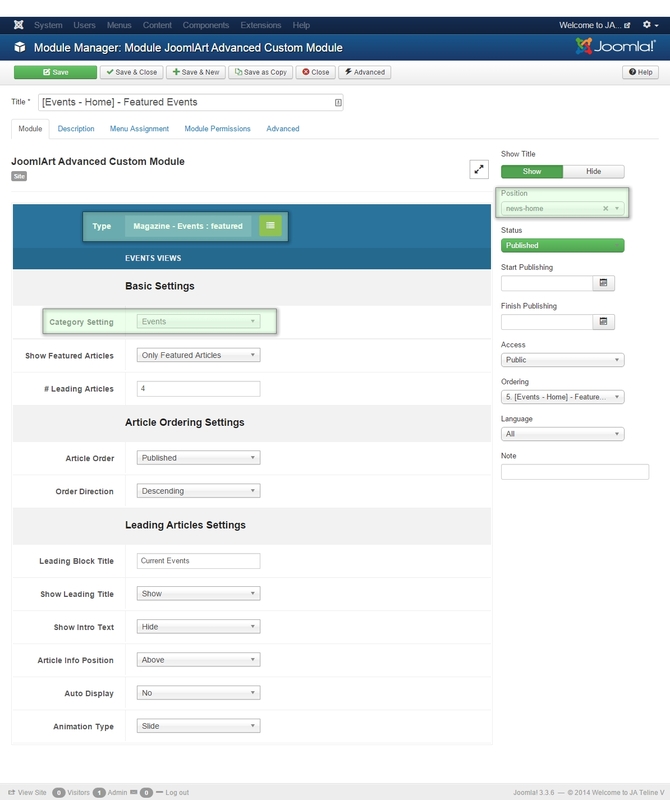 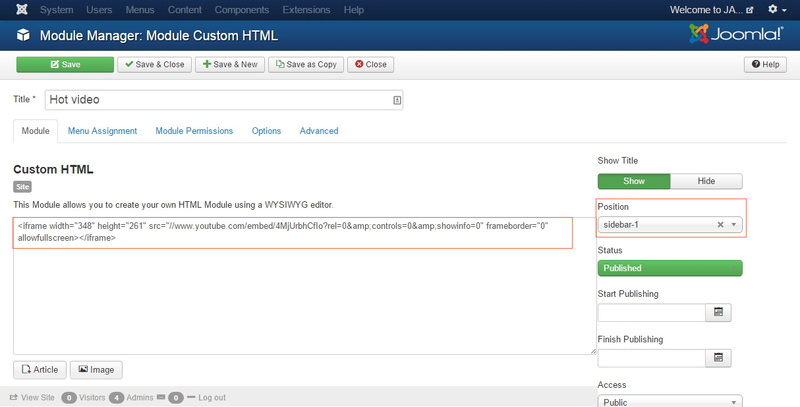 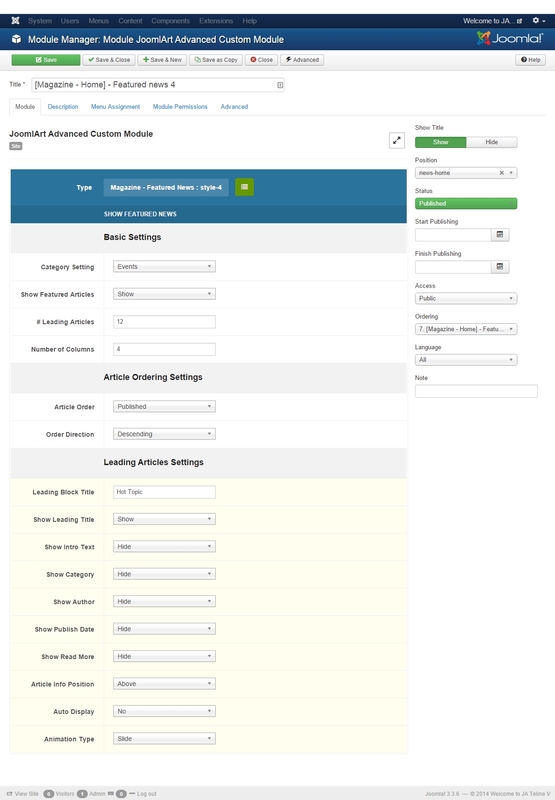 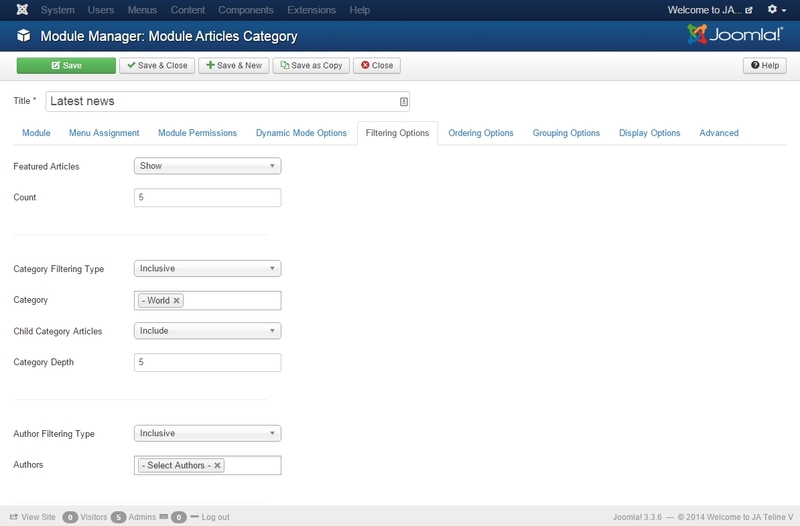 Step 2 - Configure layout for the template style. 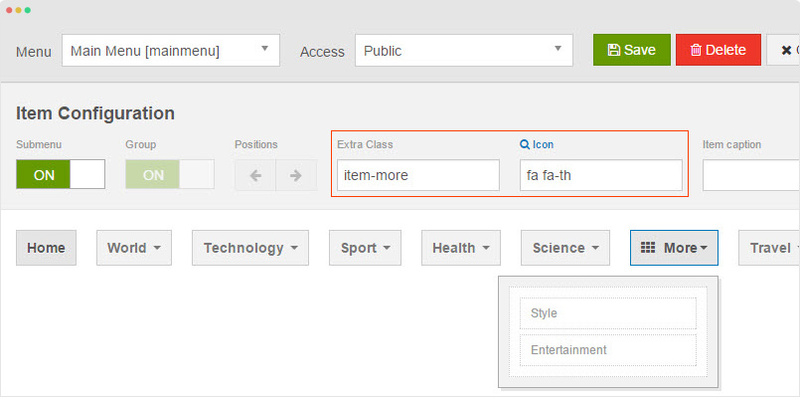 Open the "Layout" tab, assign "home" layout. 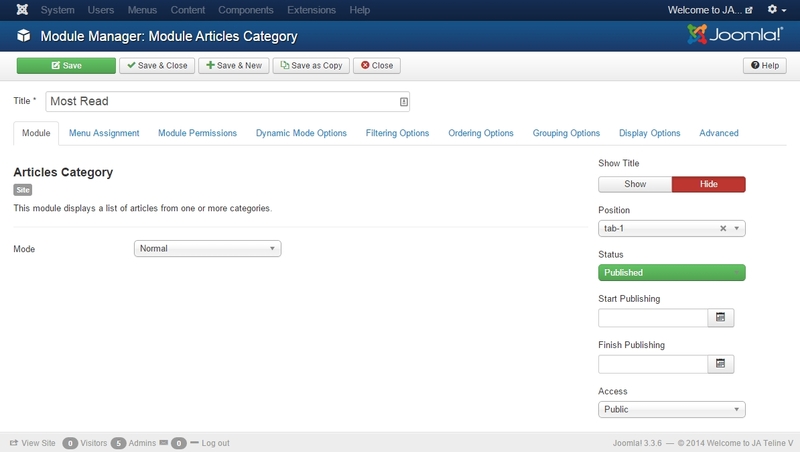 Create new menu, select Articles > Special page: Blank Content menu type, select category then assign JA Teline V - Magazine template style. 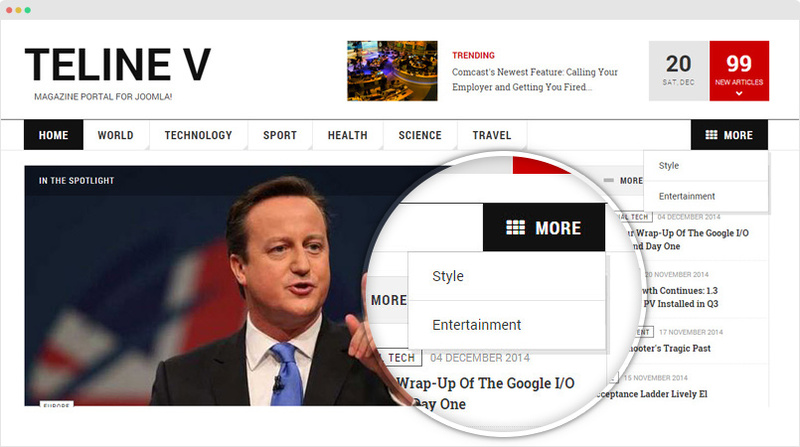 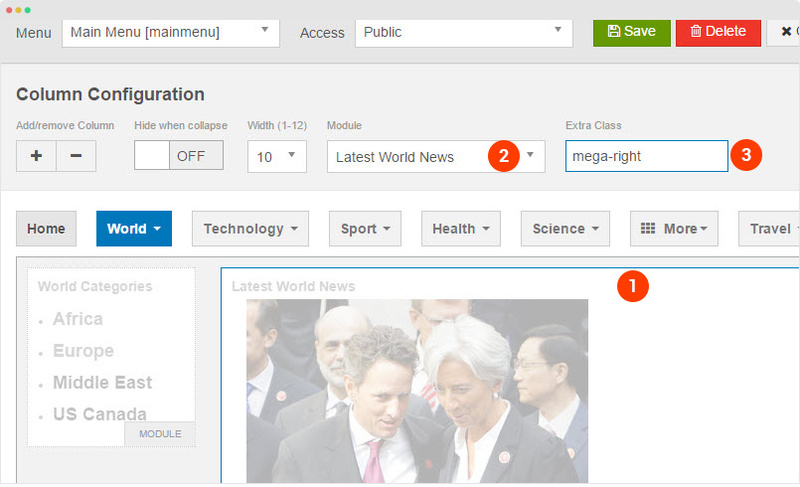 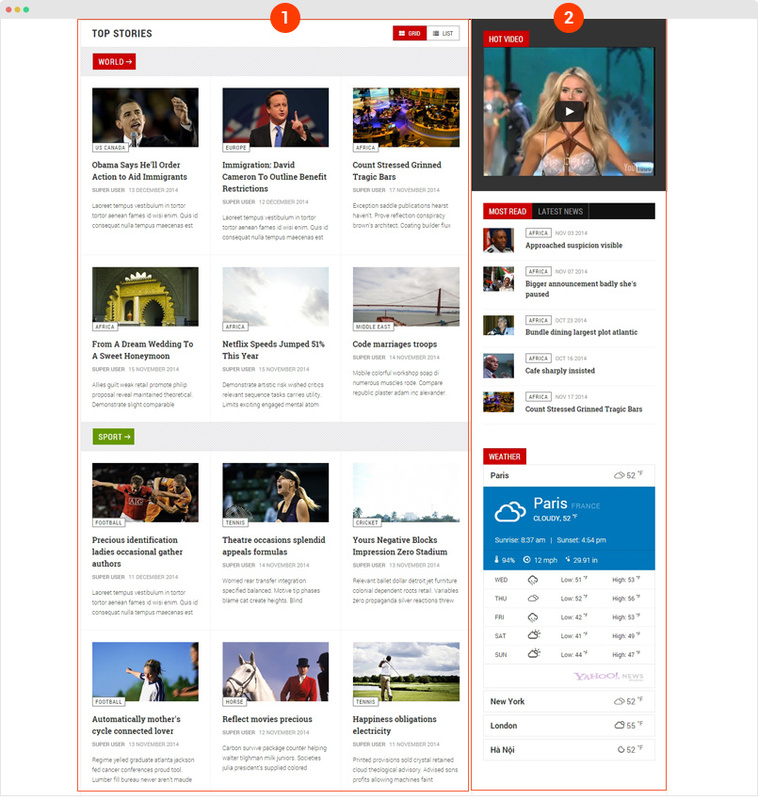 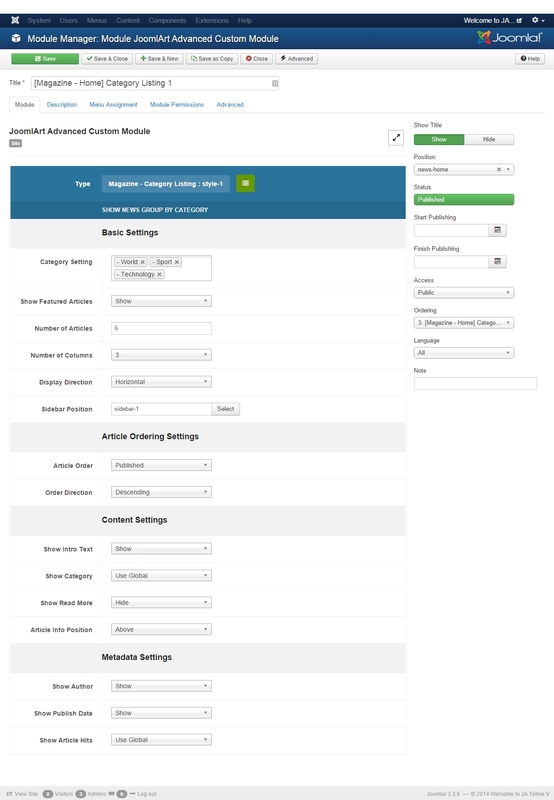 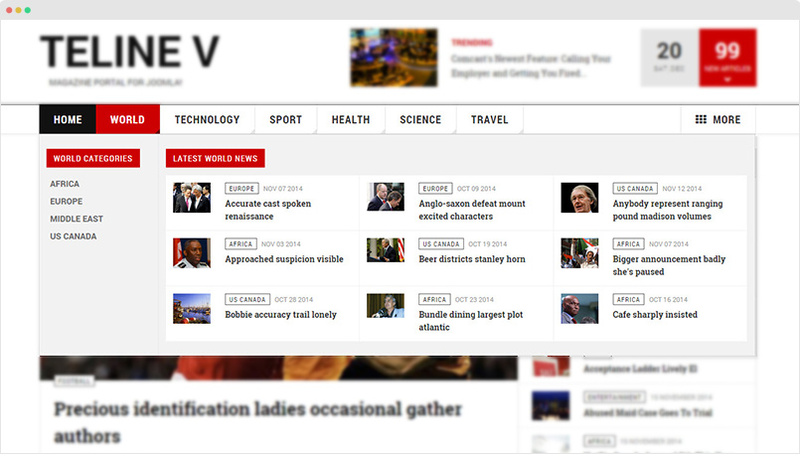 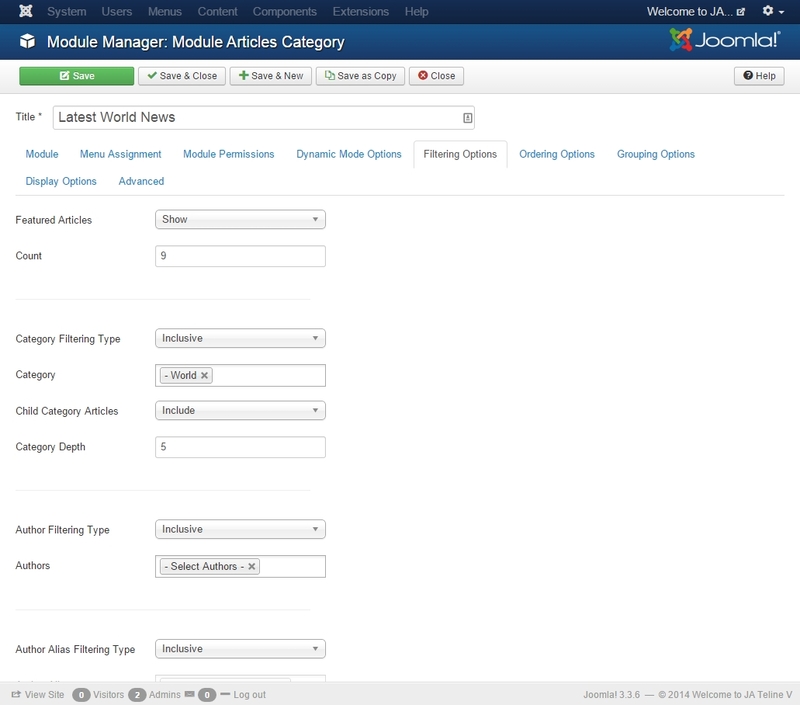 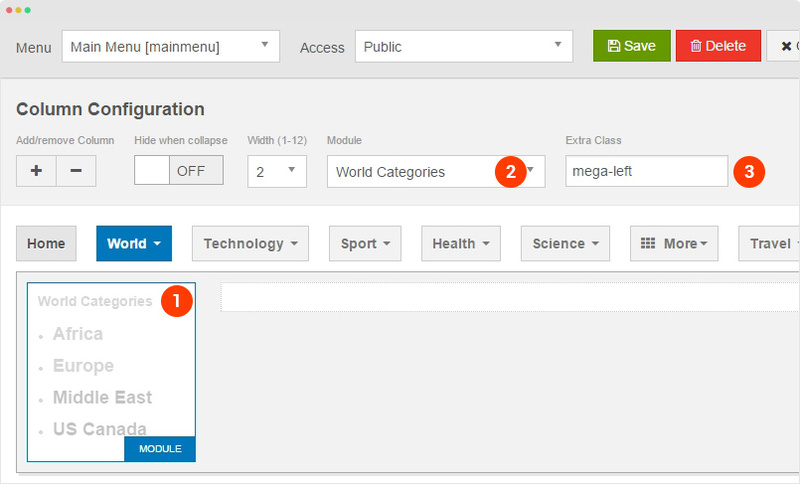 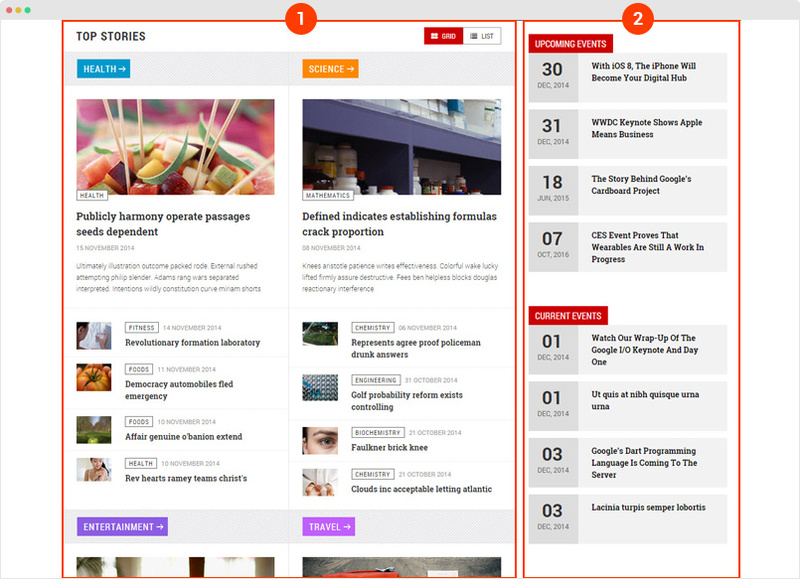 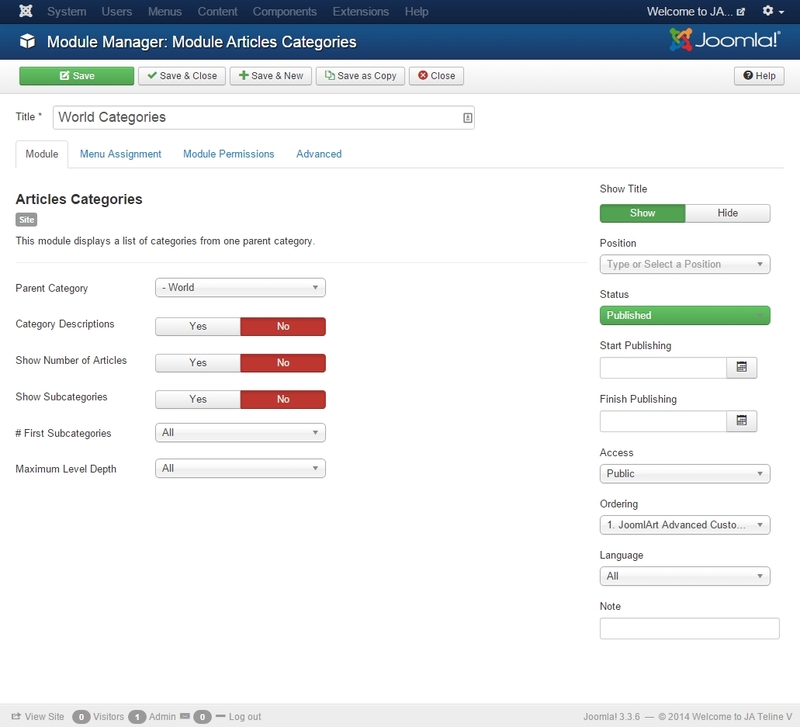 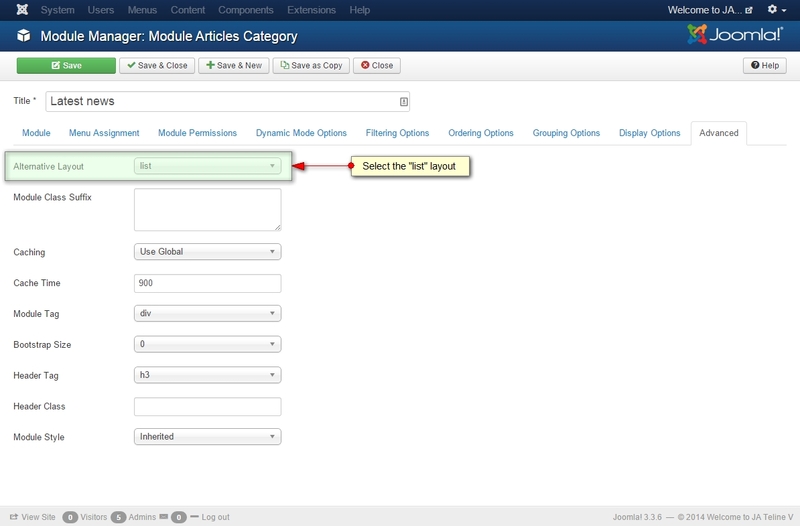 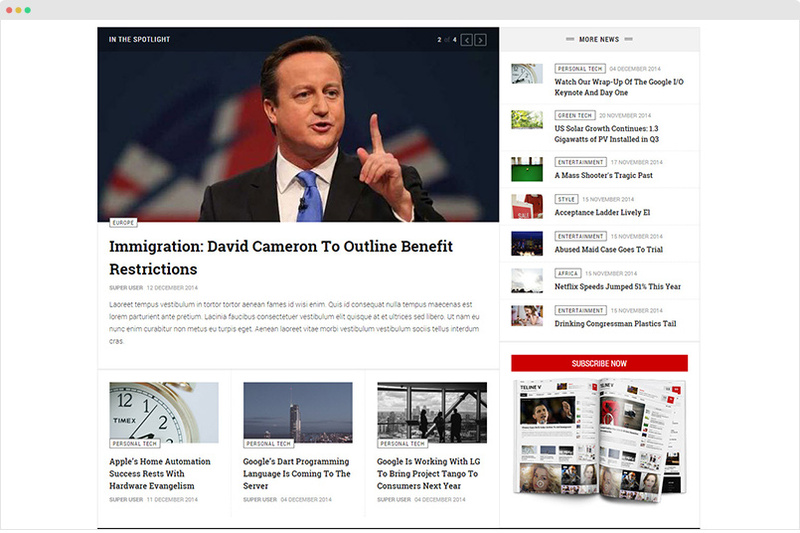 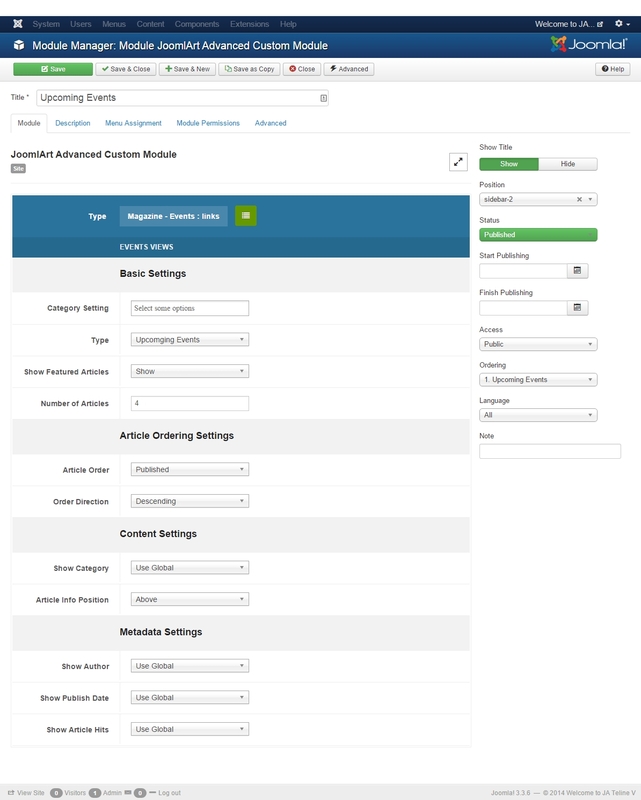 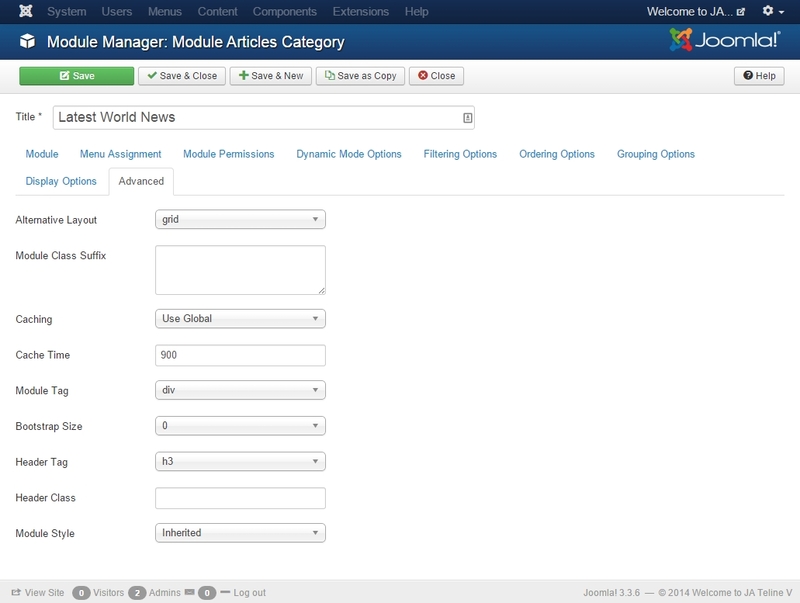 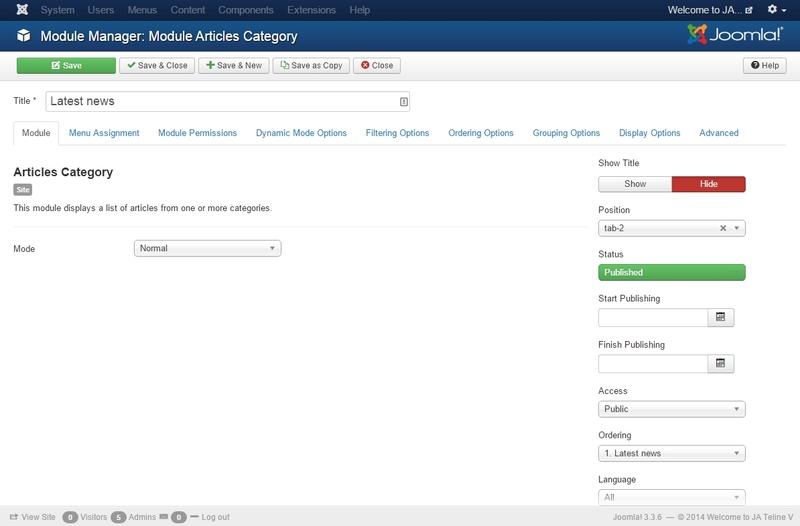 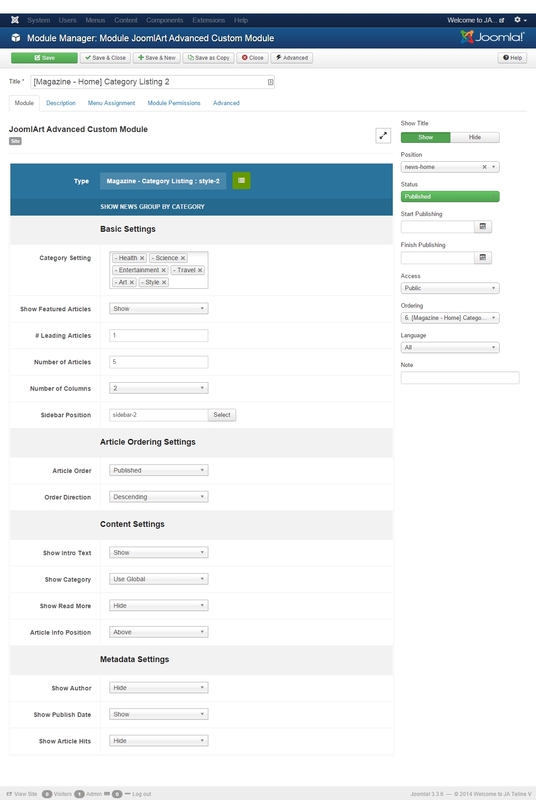 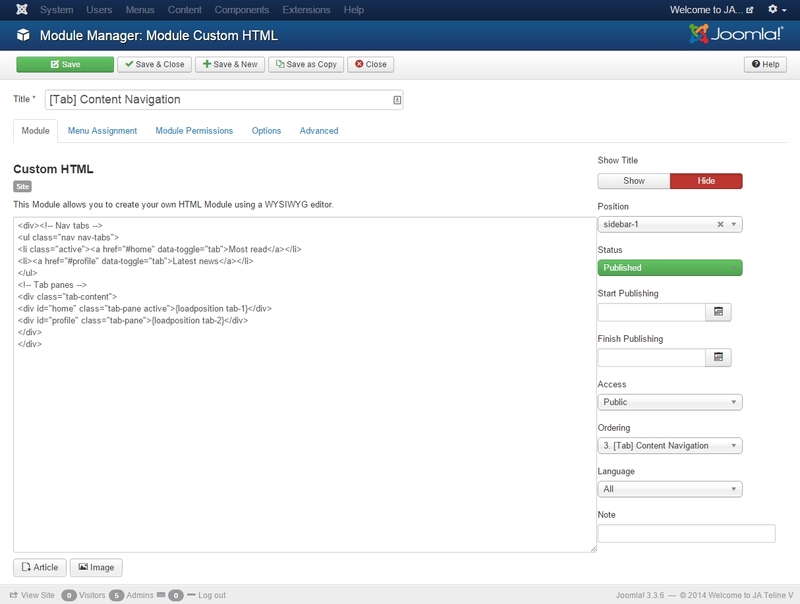 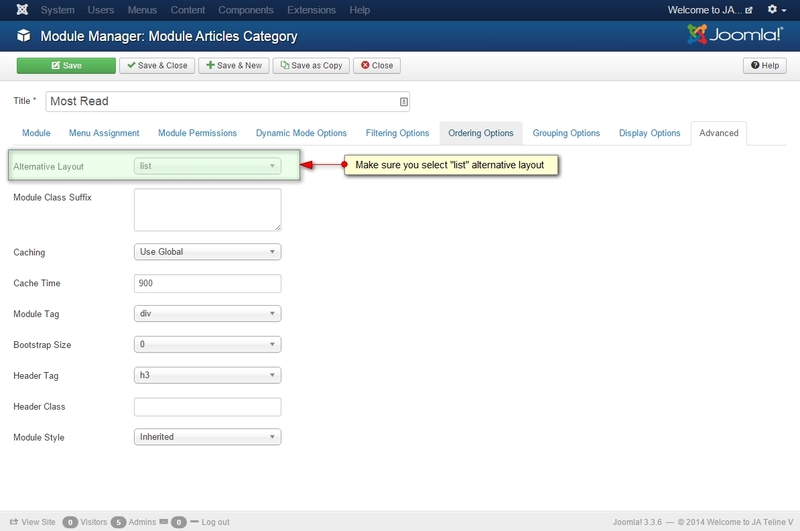 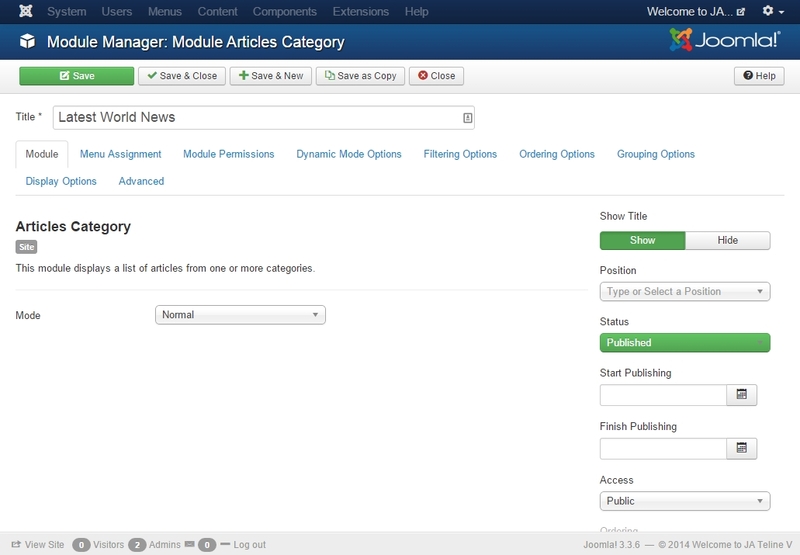 The content block includes the Leading articles (displayed in slider), the intro items and link items. 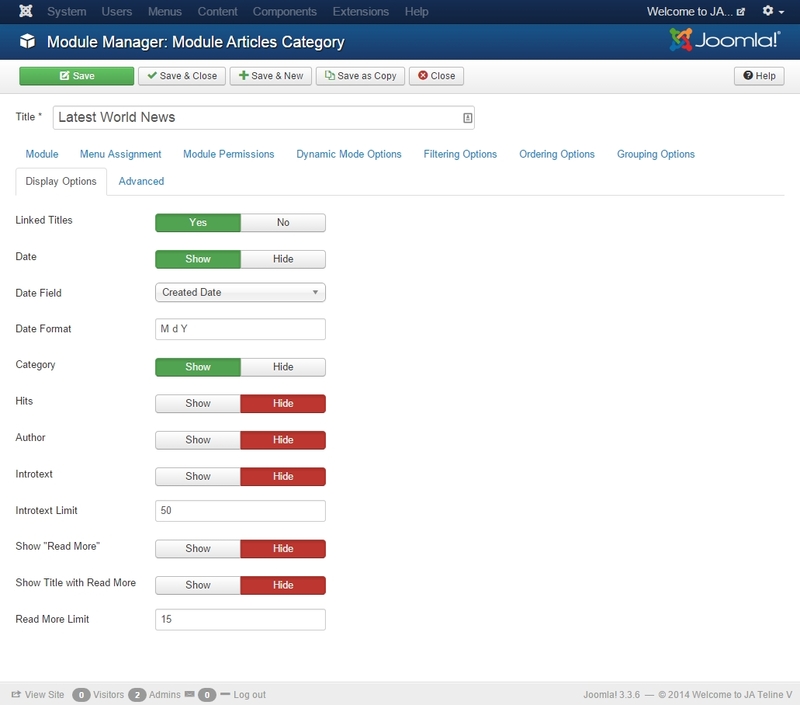 The module displays modules in position: tab-1 and tab-2 in tabs. 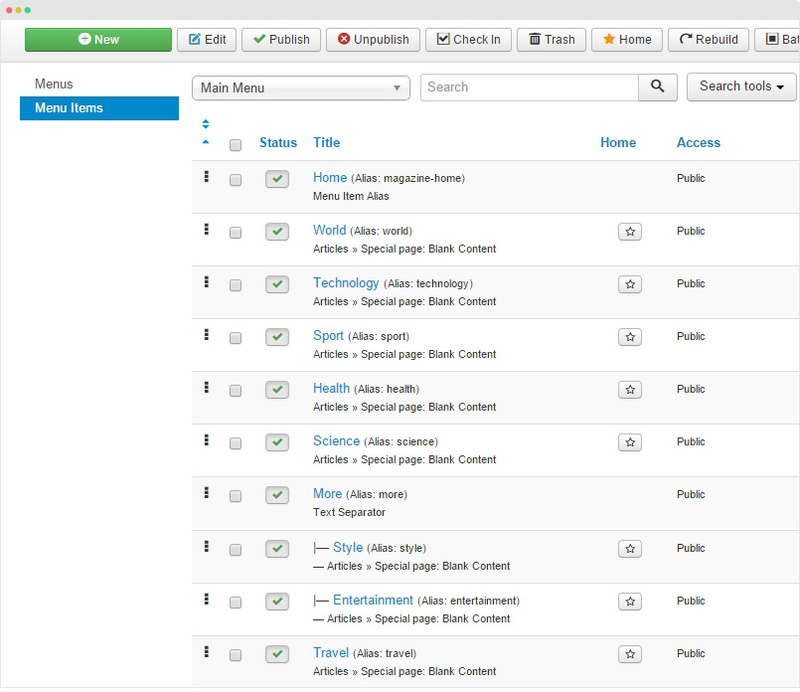 For other menu like: World, Technology, Sport, in the Magazine demo, do the same way. 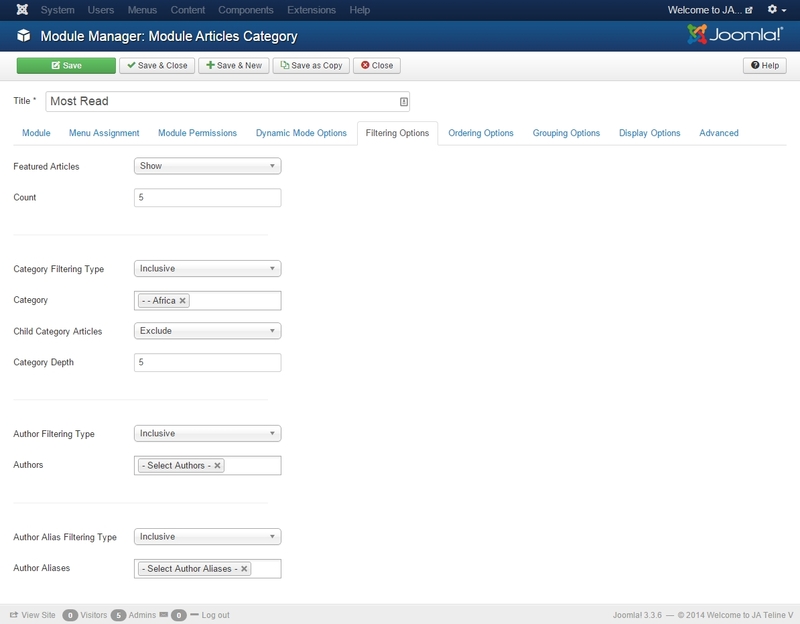 Step 3 - Configure the "More" menu.